Optix Digital Media is a commercial and documentary video production company located in Hastings, Nebraska. We specialize in corporate videos, event coverage, branded content, web & social videos, commercials, and wedding films. Our story is telling yours. We believe passionately in the power of storytelling and the smiles, the tears, the goosebumps and the actions that videos can inspire. When you capture you story on video, you preserve memories for the future, you get to heart of what leads people to make big decisions and you motivate and inspire future customers, new employees and generations. We take our job seriously and would love to be a part of telling your story. If you are interested in a quote or learning more about our services, feel free to contact us. Jameon received his bachelor’s degree in web communication design from Hastings College. He gained professional work experience serving as the Assistant Vice President / Marketing Director for Heartland Bank from 2011 - 2017. In this role Jameon coordinated and oversaw the bank’s marketing department. In the spring of 2017, Jameon left the bank to manage and operate Optix Digital Media full-time. 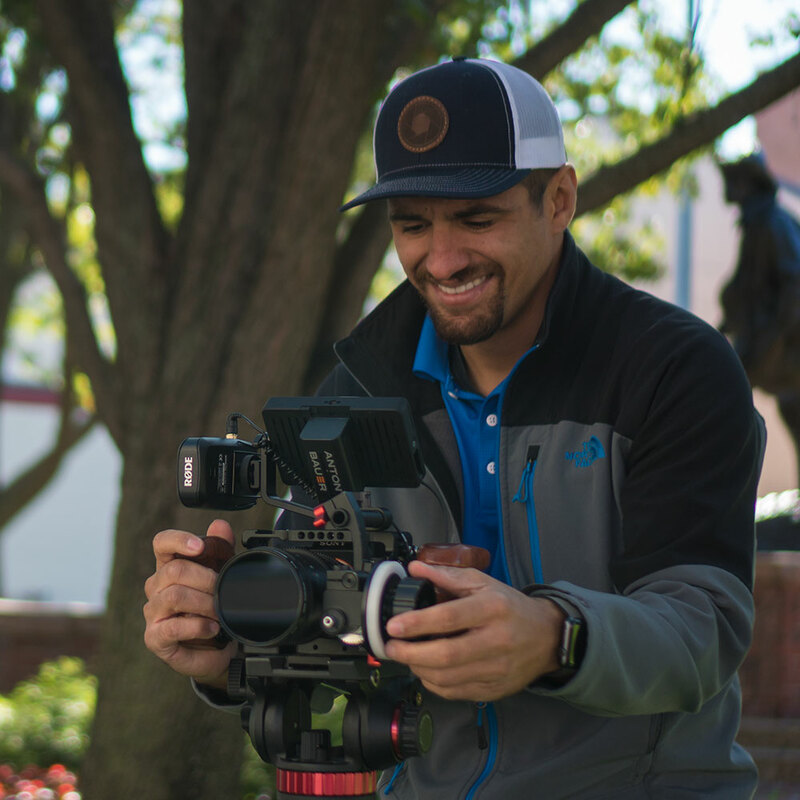 With a marketing and web design background, Jameon understands how digital video marketing can help a business meet their marketing goals.